Twinpicks pick set: picks with double the sound! The Twinpicks picks have two ends to play your strings with. These picks come in the sound styles electric and acoustic and have a shape hard or soft. 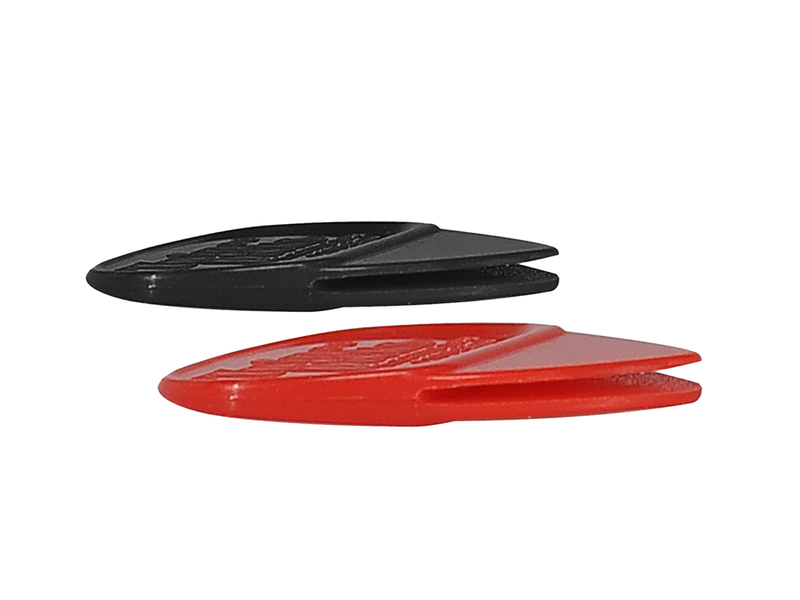 Through the double pick ends you will get a unique sound from your guitar. 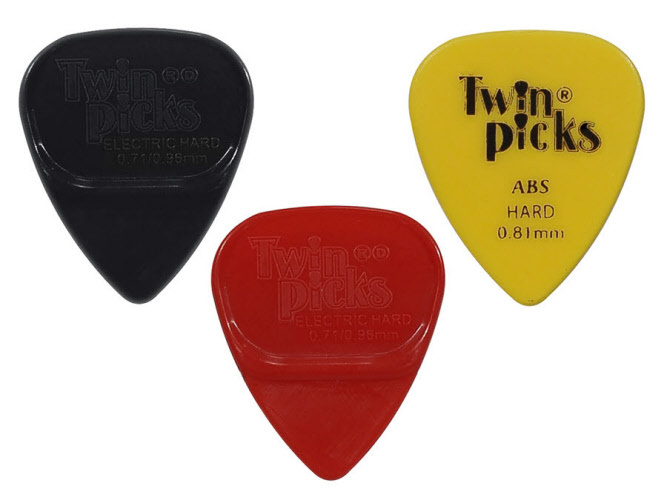 The Twinpicks are designed by guitar fanatics with a broad experience in playing. Order a starter set at Plectrum-online.com! Electric Soft of Hard or Acoustic Soft or Hard. Now temporarily on sale with a classic medium or hard ABS pick. On sale from € 12,50 for only € 8,95 a set. Double pick ends for double the sound! For electric guitar. Size: 0,71 mm. Color: black. Size: 0,96 mm. Color: red. Bonus: hard ABS pick. Size: 0,81 mm. Three piece set as showed in image on sale for only € 8,95. Size: 0,58 mm. Color: black. Size: 0,81 mm. Color: red. Bonus: medium ABS pick. Size: 0,71 mm. Three piece set as showed in image on sale for only € 8,95. Double pick ends for double the sound! For acoustic guitar. Size: 0,58 mm. Color: black. Size: 0,71 mm. Color: red. Bonus: medium ABS pick. Size: 0,71 mm. Three piece set as showed in image on sale for only € 8,95. Size: 0,46 mm. Color: black. Size: 0,581 mm. Color: red. Bonus: soft ABS pick. Size: 0,58 mm. Three piece set as showed in image on sale for only € 8,95.